Keeping in line with the objectives of this initiative, the Youth Parliament 2013 agenda was based on a typical day in the Lok Sabha. Short Duration Discussions were held as were points raised in the Zero Hour. Two Legislative Bills were raised and debated by the Members of the House who managed to exhibit a commendable level of research and understanding of the selected topics. One Bill was passed with a clinching voice vote while the other wasn’t quite able to pass muster despite a passionate attempt to do so. Several Private Members Bills were also raised and voted upon. Various pertinent issues such as Direct Benefit Transfers, the Juvenile Justice Act, mobile tower radiation, the re-organization of Telangana state, FDI in retail, Uniform Civil Code, the fiscal deficit and the NRHM were selected by the young Parliamentarians and discussed in detail. The initiative was successful in attaining its objective of providing the future leaders of the country with an opportunity to delve into the legislative arena and gain knowledge of political discourse and etiquette while engaging deeply with the process and system of governance. Fifty winners will now actually be selected to go to Delhi and witness a day in Parliament during the winter Session, another popular initiative of Mr Deora’s that will mark the South Mumbai calendar for the fifth time this year! Mr. Deora wrote to the to the Union Cabinet Minister for Culture Smt. 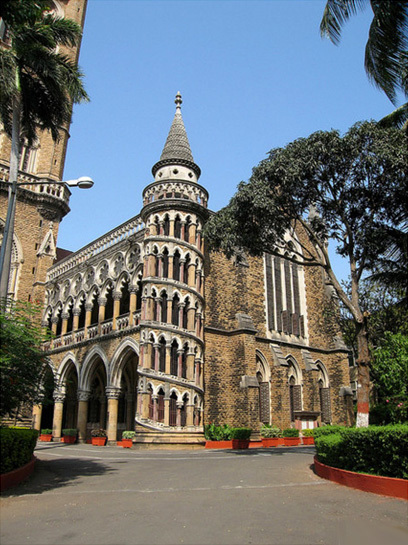 Chandresh Kumari Katoch on 13th September 2013, requesting her to forward the nomination of Victorian Gothic and Art Deco buildings of Mumbai to UNESCO, as a world heritage site for the forthcoming nomination cycle of 2014. 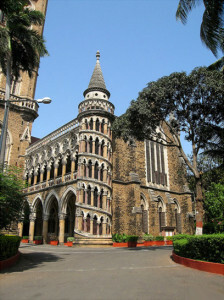 Mr. Deora wrote about Mumbai having a remarkable collection of 19th century Victorian Gothic buildings. He also wrote that the two architectural styles of 19th and 20th century face each other in a unique architectural dialogue, which is singular to Mumbai and unparalleled in the world, making it a worthy candidate for selection in the UNESCO World Heritage List, under criterion (II) and (IV). 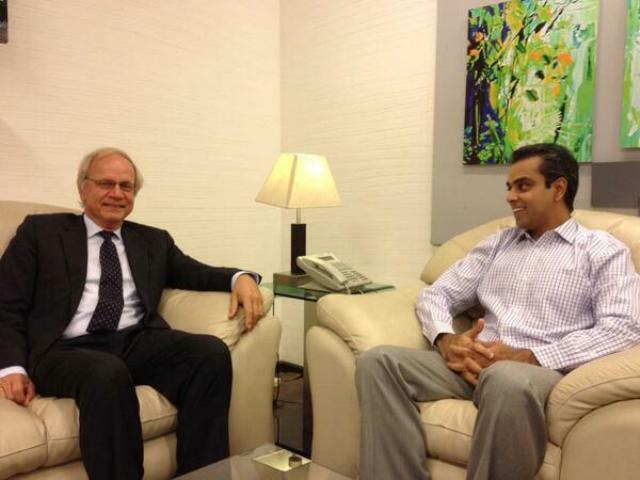 Mr. Deora met with the ambassador of Holland Mr. Alphonsus Stoelinga in Delhi, on 16th September 2013. Both sides decided to work collaboratively to find ways to improve utilization of India’s National Waterways for cargo transportation. Currently, India has five National Waterways with a sixth to be completed by 2018-2019. 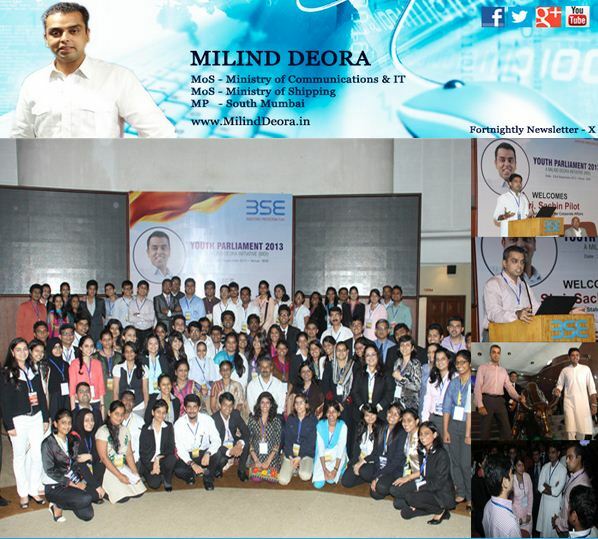 Mr. Deora had an interactive session with students of LLIM on 17th September 2013. At the event Mr. Deora said that cynicism amongst the youth has become an excuse for ignorance and that most youngsters are critical of the current political system, preferring to blame the system from outside rather than wanting to be a part of change from within. He cautioned that such disengagement would only result in India not progressing rapidly irrespective of the level of education or accomplishment. 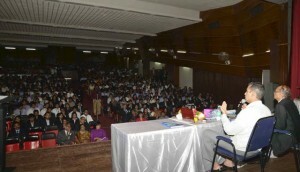 He advised students to move on from personal disenchantment and towards optimism and urged those who want to make a difference to actually engage with the system, pointing out that it was as much their duty and responsibility to bring change into the country as it was that of the political class. Mr. Deora present along with the crowds that had gathered at Chowpatty for the Ganpati celebrations on 18th September 2013 congratulated every policeman in Mumbai for working overtime and keeping the city safe during the festival. 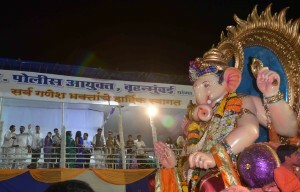 He also advocated using more eco-friendly Ganeshas, which he believes would have been supported by Lokmanya Tilak, the man behind the Sarvajanik Ganeshotsav. Mr. Deora in a letter dated 25th September 2013 wrote to the Hon’ble Finance Minister Mr. P. Chidambram regarding the need for a quick resolution to the financial crisis in the commodities spot exchange market. 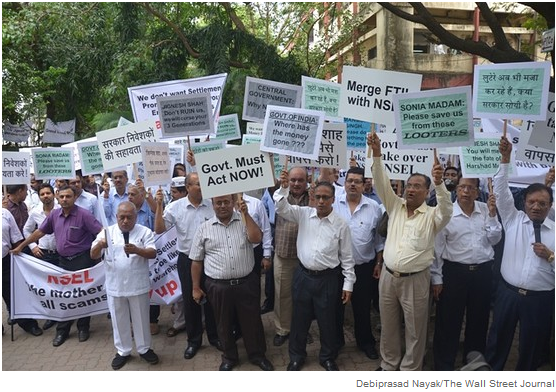 A large portion of the 15000 people who lost money in the National Spot Exchange crisis belongs to Mr. Deora’s South Mumbai Constituency. In his letter he thanked the Finance Minister for constituting two committees to look into the matter and also urged the Minister to act upon their recommendations in order to recover the money from the 25 people who were party to the crisis. 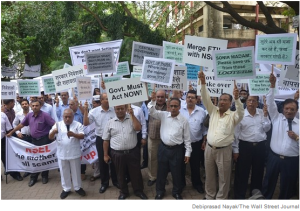 This was a second letter that Mr. Deora had written on the need for action on the NSEL crisis, the first being to the Hon’ble Prime Minister Mr. Manmohan Singh on 16th August 2013.